ELSIE… A a very special lady in my life, who became a surrogate grandmother to me and my brothers. She was one amazing cook and loved baking. Elsie taught me many a thing as well as making scrambled eggs her way! I am so pleased I had the opportunity to ask her as they are extremely yummy! I’ve added my spicy twist to them, you might wish to keep it like that or just use salt and pepper. This post is also dedicated to my friend Jhuls over @ The Not So Creative Cook as she loves eggs as much as I do. 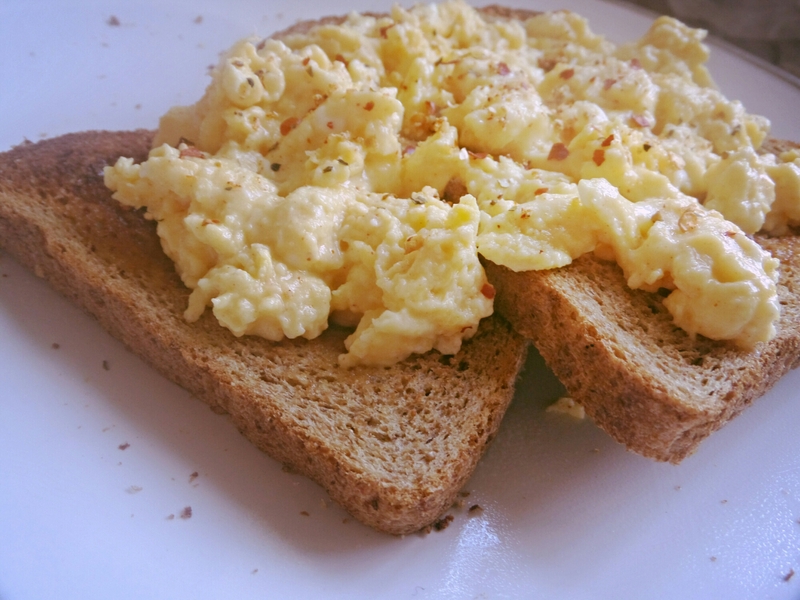 It is because of her this morning, that I decided to make some after seeing her version of scrambled eggs on Instagram at the weekend. Always the best…Just love eggs!! 🙂 Thank you! I have this totally cute hand-labled jar of smoked paprika that I got from my father who was so enthusiatic to discover the stuff (and use it in tartare). 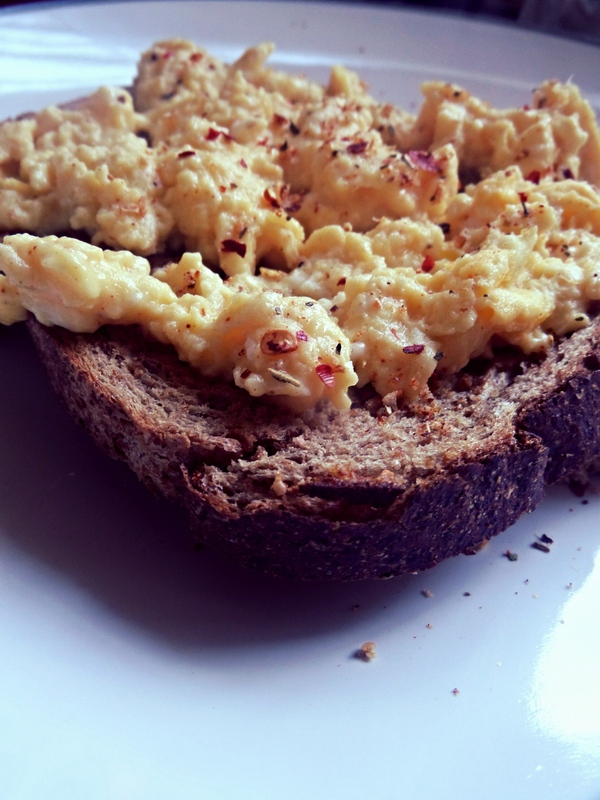 Never thought of sprinkling it over egg – great idea! Wow what a great idea adding paprika! I can just imagine how good that would taste but never would have thought to try it! This looks wonderful! 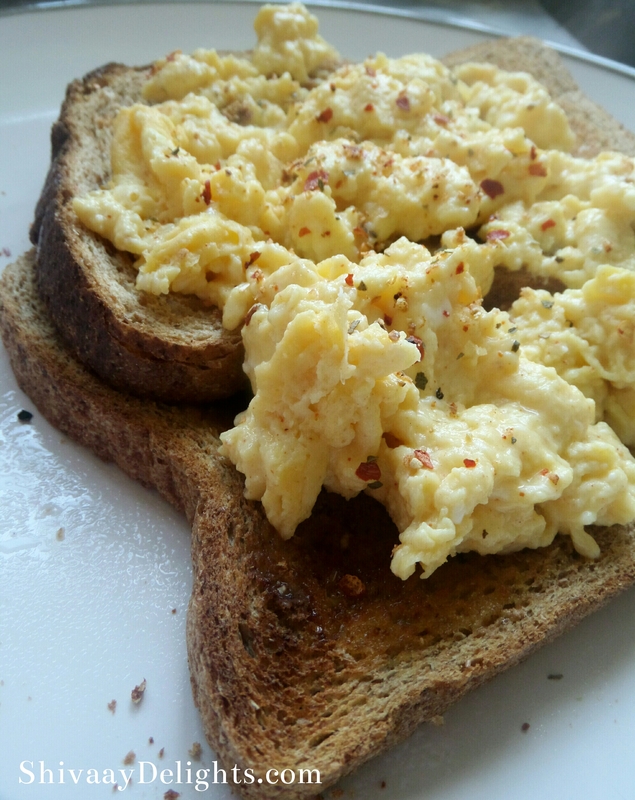 We love eggs, my middle son especially adores scrambled eggs. Favorite breakfast/brunch forever!!! And yours look so gorgeous, Dimple!! !